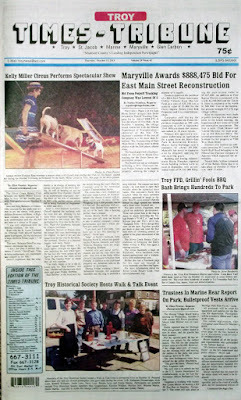 The Oct. 15, 2015 edition of the Times-Tribune is now available. 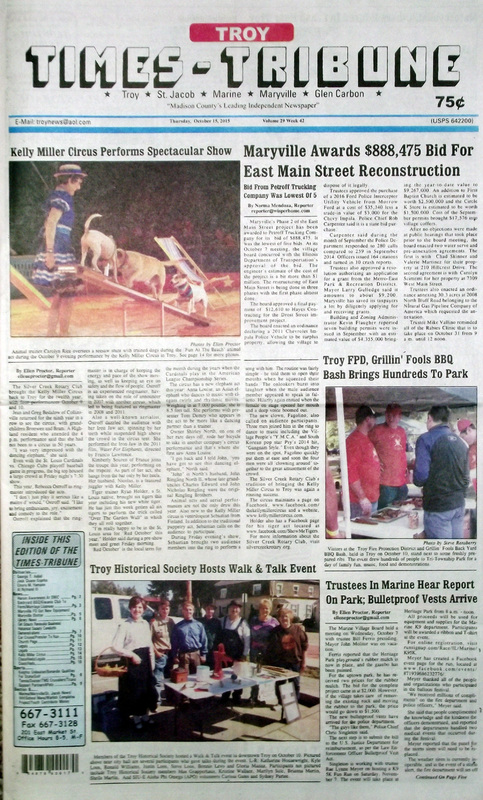 Some of the headlines in this issue: Maryville Awards $888,475 Bid for East Main Street Reconstruction, Troy FPR and Grilin' Fools BBQ Bash Brings Hundreds to Park, Kelly Miller Circus Performs Spectacular Show, Troy Historical Society Hosts Walk and Talk Event, Trustees in Marine Hear Report on Park, Kiwanis Organization Working to Form New Club in Troy, Maryville FD Adds Life-Saving Cardiac Compression Device, Troy Library Resurfaces Lot for Parking and Adds ADA Spaces, Local Girl Scouts Renovate K-9 Groom Room; plus we have an editor's column about wildlife in Illinois, a full page photo spread of the recent circus performance in Troy, our usual “It Happened Here” page, and lots more! 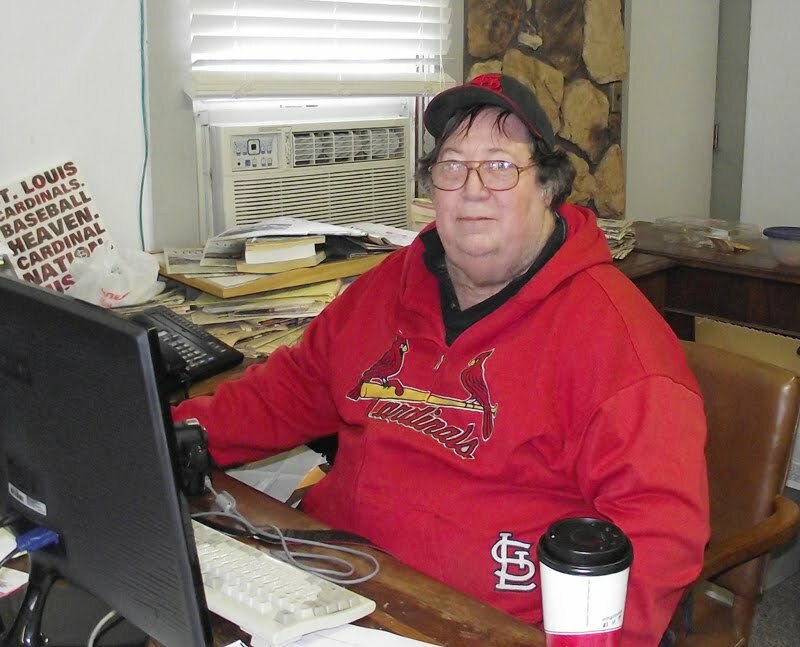 This issue has obituary notices for George T. Aebel, Jack Duane Goerke, Elnora M. Hamann, and Al Nylnand III.